Skybar is bringing unobstructed view of Berlin’s skyline in a whole new level. 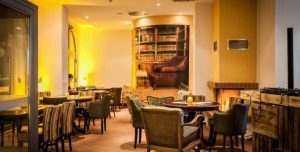 It’s located at the 14th floor of the Andels Hotel in Berlin-Lichtenberg which brings together the city’s night owls for a relaxing escape while sipping some cocktails and exquisite spirits. Visitors would find this rootop bar convenient, as it is nearby on the railway station serving town and the airport. 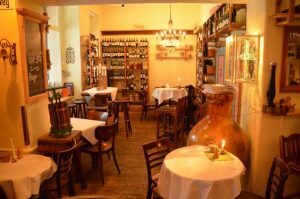 The bar is surrounded with an old-fashioned bar culture coupled with some German character and creativity. House specials include “Red Sky”, a drink made of gin, berry liqueur, Prosecco Rosato and fresh berries. 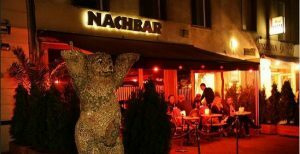 Andels’ skybar have also served as a shooting location for films like “Schlussmacher” by Matthias Schweighöfer.